This charcoal face wash is the most amazing skincare soap that I have ever tried! I must admit I haven't tried many face soaps in my life, as I used to prefer face washes or cleansers, but now I have been converted to face soap! I love that fresh skin feeling at the end of the day when I take off my face of makeup. I usually complete a little night skincare routine, filled with my exfoliator (not everyday), cleanser, toner and moisturiser. However I don't have time/can't be bothered to do this routine every single evening, especially when I come in late from a night out. In this moments this soap is a skincare saviour! When I come in from being out and about, I tend to just want to slide/crawl into bed and go to sleep, but leaving makeup on your skin overnight is bad for your skin, and I know I always breakout if I sleep with my makeup on... Luckily I have enough energy to use the Savon Stories No 2 Soap. This soap keeps my skin clean and healthy and it is 10 times easier and quicker than my normal skincare routine, which means it is perfect when I'm feeling super tired or lazy! 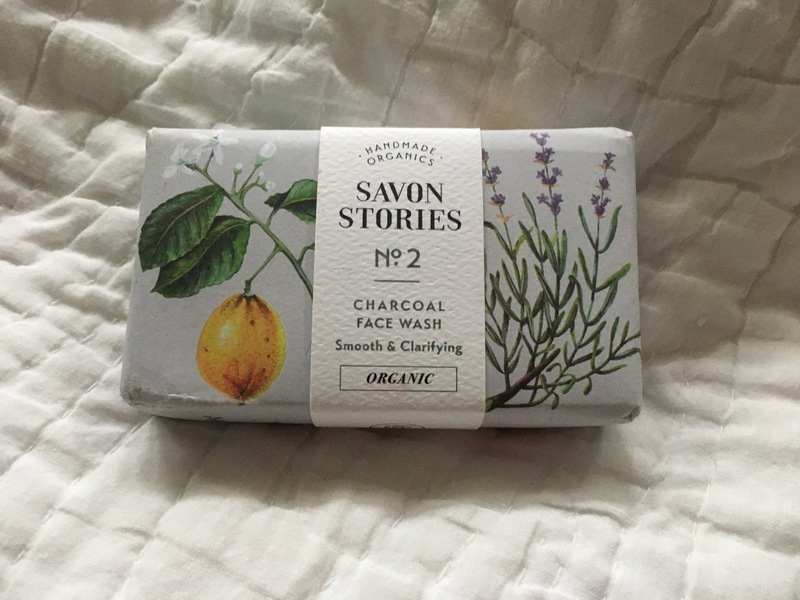 I simply grab the Savon Stories Bamboo Charcoal Bar Soap and a muslin cloth, and head to my sink. 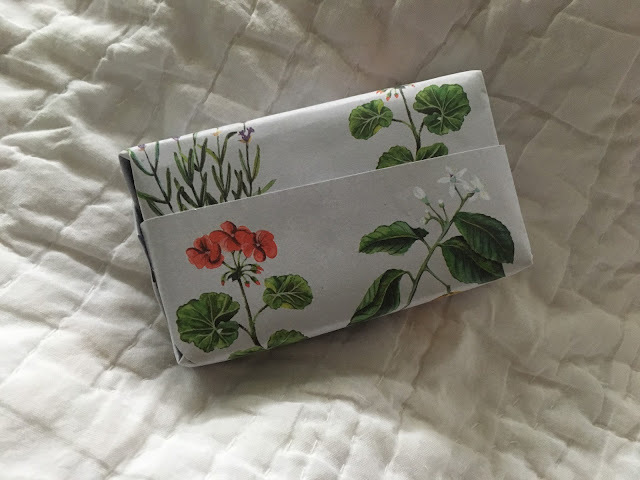 I create a lather across my face and use the muslin cloth to wipe off the soap and my makeup. It leaves my skin feeling fresh and invigorated, and of course you can use this facial soap in the mornings too! I picked this soap up when I went to the Country Living Christmas Fair ages ago, and I've been meaning to do a blog post on it for ages. The soap is completely organic, palm free and vegan, as well as being handmade in England - so it's such a great quality and not only is it good for your skin, but good for the environment too! The charcoal soap is perfect for people prone to spots and acne, or just people with oily skin. The ingredients are brilliant at getting rid of toxins, impurities and any excess oil from deep within your pores. The aromatic smell is amazing too! I must say that I have seen a reduction in my spots and an overall better complexion after using this amazing facial wash. 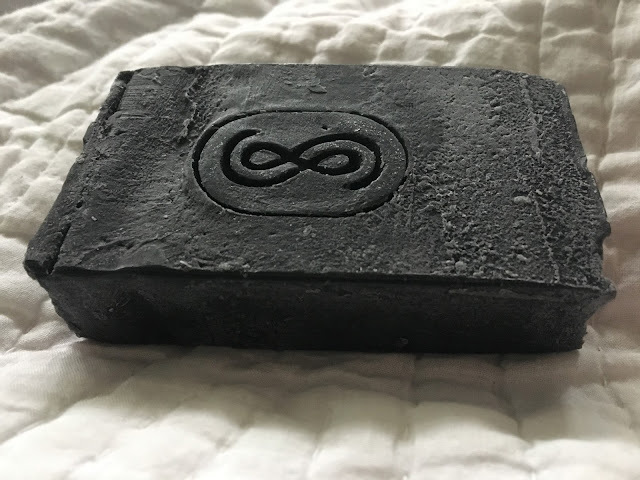 I would definitely recommend this charcoal face soap to anyone who is often too lazy or tired to complete a full skincare regime before bed, or to anyone who has acne-prone, oily skin!